You are about to find out why…. In 1995, my career as a professional magician began to change. With it came the challenge of helping other people and the opportunity to make big money. It was a transformation from entertainment to motivation. I will tell you about this journey later on. The art of magic is performed in numerous ways. Over the years magic has expanded as an art form. Today, magic has become even more diversified. The popularity of magic continues to increase. Magicians have gained new levels of prestige in expanding markets. This status and reputation has been built upon magic that is performed skillfully, intriguing and entertaining. In the last 50 years a new art of magic has evolved combining magic with a message or lessons. This blend of entertainment and instruction is now known as “Motivational Magic”. Today, motivational magic is used in sales meetings, corporate boardrooms, seminars, keynote speeches, schools, and in product promotions. The opportunity for motivational magic will continue to grow as it is presented in a skillful and professional manner. Big money is being paid for motivational magic. How much you ask? Let me tell you that my income for one month of magic shows is now what I make in one program. How can this be? We are living in the information age! The delivery of information has become big business. When valuable wisdom and information is communicated through motivational magic, people are willing to pay more, a lot more than for mere entertainment. It’s not that motivational magic is not entertaining but rather it combines the information with the magic and motivates people to change. You as a magician know the power your magic and how it affects your audiences. You take delight in bringing people to an emotional high. They want to see more as you drive their senses and understanding wild. They even offer large sums of money to know your secrets. Some people believe that you possess supernatural powers. Combine the power of magic with a simple message and you can motivate people, challenge their thinking, elicit emotional responses, and get people to change their thinking. A deeper message can bring a life-changing experience. We are just beginning to understand the power of magic used to motivate. We are beginning to experience the phenomenon of becoming true modern day wizards. If you have experienced this you will understand what I mean. If you don’t understand, read on as I introduce to you something new and exciting. NOTE: The key factor in motivational magic is the message, the information that is passed on. Your ability to comprehend and to make use of information is critical if your presentation of motivational magic is to be effective. The Path of Discovering You! What is your message? What are you saying with your magic? What information are you going to deliver? What are you going to give the audience to take home. What topics will you be speaking on? As a student of motivation you will put yourself on a path of self-education. Continue learning by studying and schooling yourself. The deeper the message, the deeper you have to understand yourself. This path of self-education will take you to a path of self-discovery. Therefore giving authentic power to your message. We all have a message to proclaim. Your message is your own piece of truth from the giant library of information. Becoming a motivational magician requires you to find your message and define it, understand it. And to present it in a way that is fulfilling to you and useful for those who hear and see it. Where do you find this path of self-education and self-discovery? Where are the maps to show you the way? Who will instruct you? The path of becoming a motivational magician is hidden. The only maps available are hard to find and scarce, and they have very little detail. But I will reveal to you this path along with the maps that are available. Your teachers will be many. This sounds obscure but you are moving into uncharted territory. These paths have been traveled by but a few who have gone before you. The question is…..
Are you willing to take the time and energy to seek out these paths? Are you willing to invest in your future? I assume you are adventurous and have what it takes….otherwise you will have stopped reading this and turned on the TV or begun to practice your card tricks. I know what I am offering is not for everyone. But there are those of you who are being drawn to this and it will not leave you alone. Your minds are mesmerized with ideas and concepts, pushing you to use your magic to motivate people to hear a message. We often fool ourselves into believing that our education is over once we finish school or college. Did you know that the average person reads only two or three books, other than fiction, during their entire adult lives? To be successful, your education must continue. You are no longer following a formal curriculum. You now choose what you want to learn, how you learn, how quickly you learn and if you apply it or not. Think and Grow Rich by Napoleon Hill, is the first book that made me to become serious about my continued education and changed my attitude about learning . This thought inspired the initial change within me to become a motivator and a professional speaker. This book has become a guide and a blue print for me. The author studied successful men and women and documented the universal principles that made them successful. Although this book has motivated people to achieve success over any other book written on this subject, I must confess that when I first read it, I did not understand it all. It took several readings for me to comprehend these life-changing principles. The book is easy to read but the principles run deep and it takes time to learn how to understand and apply them. Along with this book I have built a library of self-help, success motivation, and business books next to my magic books. Additionally, I have also acquired a large number of audio CD’s on the same subjects. My driving time is my time to learn….my traveling university. The Secret of Accelerating Time. How to use time is another secret you need to know. Everybody has the same the amount of time to do with what we wish within each 24-hour day. How we use our time is very important. These choices determine our success. When you know how to put time on your side you will be able to enjoy life with its successes and pleasures. Where will you find time to educate yourself and do the research you must do to be the successful motivational magician? First, you need to make a choice to invest in yourself. Then you have to motivate yourself to follow through with this commitment of self-education and self-discovery. I will be sharing teaching you how to shorten the time it will take for you to reach your “learning” goals. For example, do you know your primary way of receiving information? Is it through the things you see? Is it through the things you hear? Or is it through the things you do? One of these is your dominant way of learning. Knowing which of these three is your preferred senses, (visual, auditory, or kinesthetic) will speed up your learning time. The secrets are techniques called “Accelerated Learning.” Suggestion: Do an internet research on this subject. There are several resources available for learning these techniques, some you are already using if you have enjoyed success in your magic career. However, some of these secrets will be revolutionary for you in how you learn and educate yourself. There another critical path required to become a motivational magician. That is a path of creativity. This too is a self-discovery skill acquired by tapping into the creative source from that giant library I referred to earlier. Being creative gives you the power to take your message and communicate it in ways never imagined before. Through creativity you learn to use your wizardry by wrapping your message around effects that will hook the minds of your listeners. People do not easily forget what is new and exciting. Creativity gives us the power to make our message so impressionable. Remember it is your message and your wisdom…that is what people are paying big money for. Everyone has the ability to be creative. The secret is finding the source and exercising your creative muscles to go work for you and your message. A Program that Empowers You! Now that I have touched on a few hidden secrets. Perhaps you are beginning to see how these secrets can transform you into a motivational magician and at the same time you make big money. All of these secrets are hidden waiting for you…to put yourself on the path of self discovery and success motivation. The magic2motivate training program will guide and assist you on along your path. This program is designed to help you develop your skills, using self-discovery tools, instructional videos, and worksheets. This program will teach you how to be a successful motivator. You will also find creative ways to use your magic and accent your message. Once you see the path that has been mapped out for you, you will see why people will pay big money for a motivational magician. You will understand how people will appreciate you, what you have to offer and the value of the information in your message. The joy and satisfaction you will receive from this work is beyond what you have ever experienced. You will be helping others to find purpose, knowledge, and direction with your message. It has been proven when you help others get what they want you will at the same time get what you want. When you enroll into the magic2motivate training program will be given the “discovery tools” to create a written profile to help you onto the path of self-discovery. These “discovery tools” include a series of surveys, assessments, and questionnaires, with multiple-choice answers. These tools will give you insight about how your brain likes to learn. You will have a clever understanding how you function and connect with the world around you. But most importantly, you will learn how to exercise your strengths and build upon them. The secret to value lies within a deep the understanding of your strengths, gifts and talents. Are you motivated by thoughts of being successful? Do you have the desire to put yourself on a path of success? The answers to these questions will be revealed to you in this training program. Your work will become your play. You will enjoy playing out your desires as you follow the path of success motivation. There are universal principles that you can put to work in your favor. This training program will introduce these principles and how they can work for you. It is beyond having a positive attitude or setting goals, it’s more than just hard work. The secret is in changing the way you think by re-programming your thoughts. It is actually very easy. Once you learn the correct way to talk to yourself, your brain will go to work for you. You will reach your goals with surprising speed. 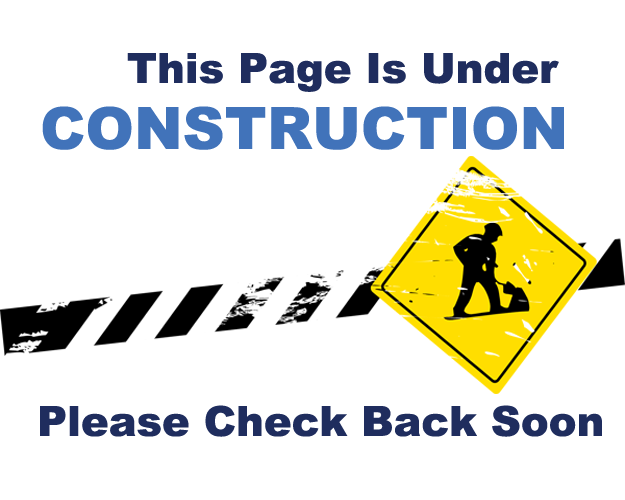 Please Come back….this Webpage is still under Construction. Back to magic2motivate CLICK HERE!